This Coaching Center of Excellence Event qualifies for 1 ICF CCE Unit. Traditional coaches work mostly with individuals. All conversations are confidential, and goals are paramount. They see themselves as outside agents and tend to avoid meeting others in the client organization. Systemic coaches seek to understand the nature of the system in which the coachee is operating. They pay attention not only to immediate relationships, but also on achieving a holistic perspective of the whole organization and its environment. In doing so they challenge many of the accepted wisdoms of the traditional coach. What do we mean by ‘systemic’ though – in practical terms? 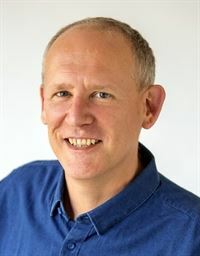 In this session, Dr Paul Lawrence will compare traditional and systemic perspectives on coaching and share stories of systemic coaching in practice. We will skip lightly through some underlying theory before spending most of our time on practical, tangible, takeaways for practicing coaches. Dr. Lawrence is an experienced coach, facilitator, writer and researcher. Before becoming a coach, Paul had a long career in business, working in UK, Spain, Portugal, Japan and Australia. Paul coaches individuals, groups and teams, and attained his coaching supervision credentials at Oxford Brookes University. He teaches coaching on the Masters of Business Coaching program at Sydney Business School and has published several academic journal articles and book chapters. His first book, Leading Change: How successful leaders approach change management was published by Kogan Page in December 2014, and his second book Coaching in Three Dimensions, is due to be published by Routledge in 2018. His third book, on dialogic approaches to team coaching, will also be published in 2018. Paul focuses his research efforts on generating practical insights for coaches and organizations deploying coach services. He has an MBA from the University of Warwick and a PhD in Psychology from University College London. He currently serves as President of the New South Wales branch of the International Coach Federation. ATD NYC chapter members, ICF NYC members and guests. You must be registered by April 10, 2018 at 5:00PM to participate. Webinar information will be emailed directly to participants.